This photo is from back in Februry 2010. It was taken from The Basin, Victoria. 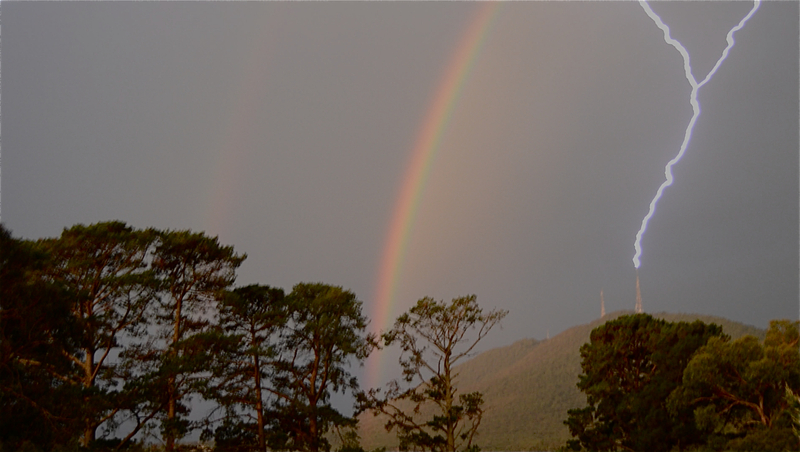 It shows lightning striking the tallest Transmission tower on Mount Dandenong in conjunction with a rainbow. Although not 100 percent in focus it has always been a favourite.